After getting a new router, the first thing that you should purchase is the router bits. If this is the first time you used router, choosing a proper router bit might be a challenge task. In this article, we will go step by step all the dimensions that you should consider when purchasing a router bit. A chamfer allow users to create a 45-degree angled cut on the edges of a surface, which is used to decorate the edges surface or create the need beveled to match with multi-sided constructions. Chamfer bits are flexible when it can create many different chamfers size depend on the cutting depth. The roundover bit which is used to create a rounded sharp on the square edge of stock, and it sometimes is used to ease the edges instead of 90-degree arc. Beading bit is quite similar to roundover bit when both of them can be used to create rounded shape of the edge of the wood. But beading bit is allowed to cut a square shoulder on the top and bottom of the rounded edges, and it also often have a bearing tip. A concave can be made by using a cove bit; generally the cove bit is used to create shapes that match with a beading and round shape of the stock. The straight cutting bit can be used to make a dado that is a square channel in the center of the stock. These kinds of bits come in variety of lengths, sizes and diameters which allow to made different shape sizes. Users can use this type of bit to made cut through the material or hollow out an area for a specific purpose. Rabbeting bit is designed to make a shoulder on the edge of the material which is often used to joint other pieces of stock. 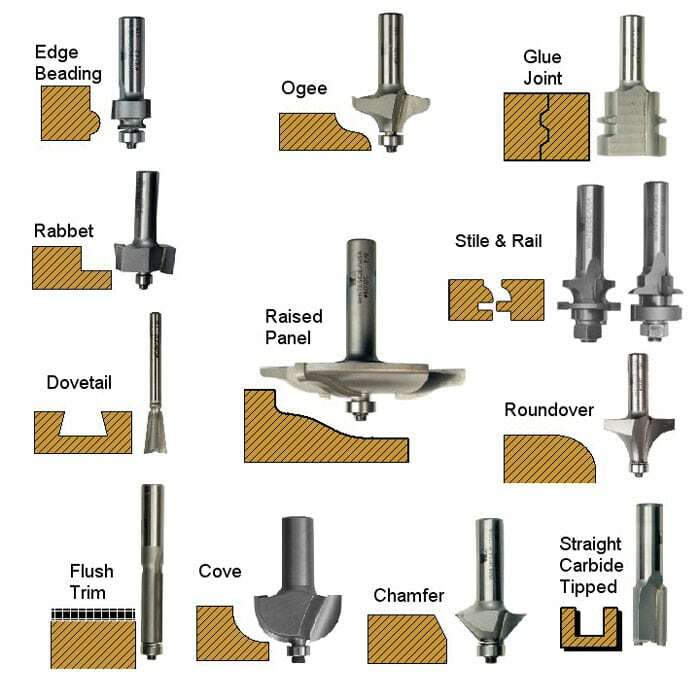 In order to ride along the edge of the work piece and produce different sizes of rabbets, these bits normally come with bearing tip with variety of diameters. Second aspect that you need to know is the size of router bit shanks; it normally has two sizes that are 1/4″ and 1/2″. For most of ordinary routers, they allow using both size of router bit, but some specific routers such as a very larger profiles one only accept 1/4″ shank bits. It would better to use 1/2″ bits size since it provides great stability and they also help users to have a smooth cut and maintain the life of the cutter. The next thing that you need to consider is the speed of the router and router bit. Generally the router work with the range of speed from 8,000 rpm to 24,000 rpm and the router bits also can work at different speeds. 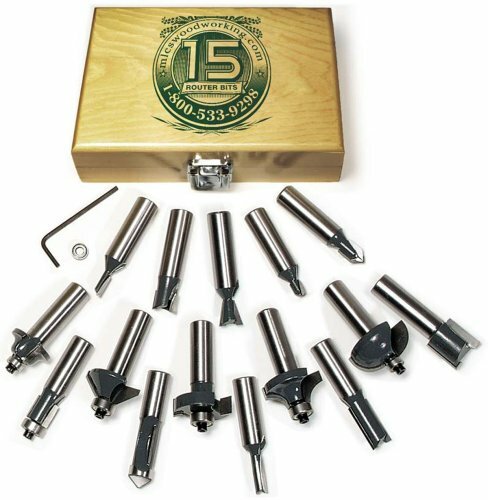 When choosing a router bit, you should choose one that match with the speed of the router to ensure the accuracy and smooth of the piece of work. Last but not least, the price of the router bit might be the most important factors that affect your decision when purchasing a bit. Most of us already know the quotation that you will get what you pay for, so the price of a product somehow reflect the quality of it. For some brands of producing router bit, they offer unconditional guarantee for their product, but their price is not affordable for most us. The high quality router bit often designed by carbide and it has fine edge that has appropriate level of thickness which allow for regrinding. After study about the specification of a router bit, you probably should ask yourself some question such as: “Are you going to use this bit occasionally or in work out in a daily basis?, or you intend to buy it for a specific project or just general using”. These kinds of question will help you identify what exactly type of bits that you need. Therefore, you should consider all the technical dimension of the router bit that you are going to buy and then based on your budget to choose the most appropriate products.